Valentine’s Day on 14 February is celebrated globally as a day to showcase love and affection with your significant other. Each year, there are big and small things you can do to showcase affection. Small gestures can be a nice intimate dinner out together at your favourite restaurant or even as little as a personalised card and flowers. 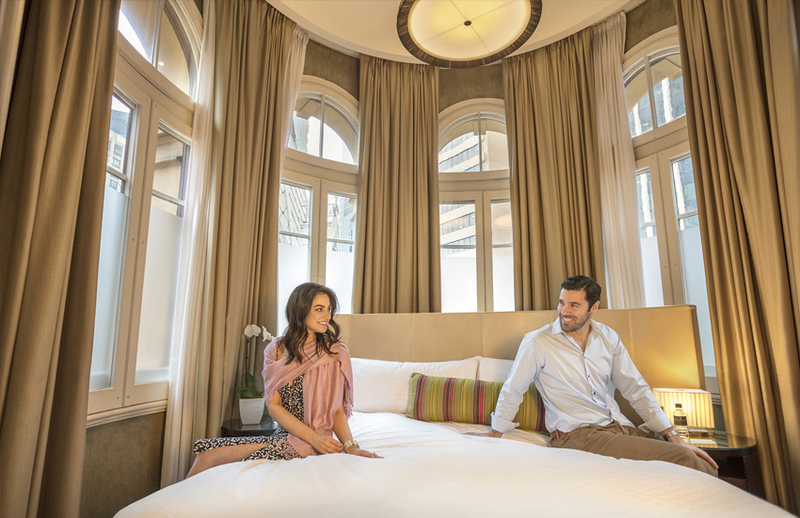 If you are looking for a more intimate and luxurious experience, the team at InterContinental Melbourne The Rialto have created a Valentine’s package that will truly help you celebrate this special occasion with your loved one. Choose to stay on Valentine’s night in a deluxe room, club room or suite with Club interContinental access, breakfast for two the next morning and valet parking if required. On Valentine’s night Thursday 14 February from 6pm, the hotel’s Alluvial Restaurant will be serving an intimate 4 course degustation dinner, with unlimited G.H Mumm champagne at $165pp. Alternatively, choose to celebrate a Valentine’s weekend on either Saturday 16 or Sunday 17 February and choose accommodation, breakfast for two, valet parking and an indulgent high tea experience for two. A Valentine’s inspired take on the hotel’s classic Melbourne High Tea degustation The Clarke Sisters’ High Tea, enjoy 4 indulgent high tea courses including unlimited Perrier-Jouet Champagne at $149pp. This year, make this Valentine’s a truly memorable experience and spend it in luxury at InterContinental Melbourne The Rialto.